Gastro-oesophageal reflux disease (GORD) is a common condition which usually results from failure of the one way valve between the lower end of the oesophagus and the stomach. This allows stomach content / acid to wash up into the oesophagus. The condition is usually associated with a hiatus hernia. Symptoms include heartburn and regurgitation, but GORD may also cause other symptoms such as cough, hoarse voice and worsening of other chest complaints. GORD is mainly treated by medication to reduce stomach acid. Surgery is generally reserved for patients who are intolerant of these medications, or those whose symptoms are not completely controlled by drug treatments and lifestyle measures. Hiatus hernia is a condition where part of the stomach slides upwards through a widening of the gap (the hiatus) in the diaphragm. The hiatus is normally only wide enough for the oesophagus to pass from the chest into the abdomen, where it meets the stomach. 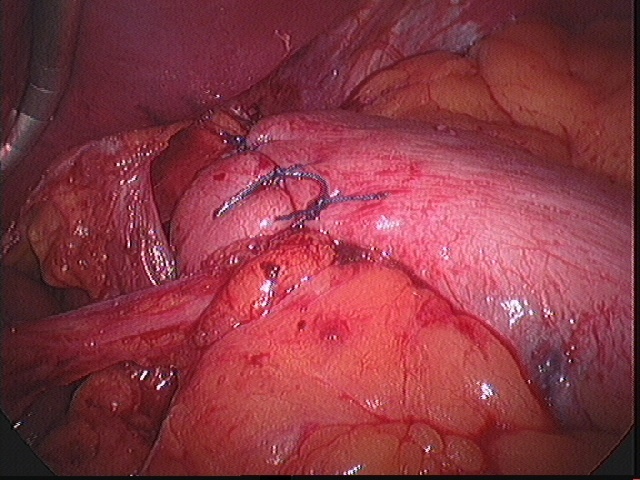 Most hiatus hernias are small and only relevant because they are associated with GORD, however some may be much larger, containing most or all of the stomach, and can cause other problems apart from GORD. Anti-reflux surgery involves repair of any hiatus hernia, and a “wrap” or fundoplication, whereby part of the upper stomach (the fundus) is wrapped around the lower oesophagus. This re-creates a one way valve, which allows food and drink to pass into the stomach, but stops stomach contents passing in the opposite direction into the oesophagus. The LINX Reflux Management System is a newer, less invasive procedure. The operation employs a ring of magnets to reinforce the failing valve, rather than a fundoplication. The system requires less time and less surgical trauma than a standard fundoplication, and has the advantage of fewer side effects, although not all GORD patients are eligible for LINX. I have a very large experience of surgery for GORD and hiatus hernia, with a particular interest in complex and recurrent hiatus hernia.